Clear emerald straw color. Aromas and flavors of apple custard tart and banana taffy with a soft, crisp, petillant, off-dry light body and a easy finish displaying touches of peach sorbet, yellow apple and pear, and fruit salad with no oak flavor. A tasty lighter styled dessert wine sipper. Bottom Line: A tasty lighter styled dessert wine sipper. 88 • Alamos 2016 Torrontes, Salta 13% (Argentina) $13.00. 86 • Alamos 2016 Malbec, Mendoza 13% (Argentina) $13.00. 89 • Alamos 2015 Seleccion, Malbec, Mendoza 13.5% (Argentina) $20.00. 88 • Alamos 2016 Cabernet Sauvignon, Mendoza 13.5% (Argentina) $13.00. 86 • Alamos 2016 Red Blend, Mendoza 13% (Argentina) $13.00. 87 • Alamos 2016 Malbec, Mendoza 13% (Argentina) $20.00. 90 • Alamos 2016 Cabernet Sauvignon, Mendoza 13.5% (Argentina) $13.00. 87 • Alamos 2016 Red Blend, Mendoza 13% (Argentina) $13.00. 89 • Alamos 2016 Selección, Malbec, Mendoza 13.5% (Argentina) $20.99. 90 • Allegrini 2016 Valpolicella DOC 13% (Italy) $22.00. 91 • Allegrini 2014 Palazzo Della Torre Red Blend, Veronese IGT 13.5% (Italy) $22.00. 81 • Argonaut Saloon Strength Brandy 45.5% (USA) $40.00. 82 • Argonaut Speculator Brandy 43% (USA) $40.00. 82 • Argonaut Fat Thumb Brandy 43% (USA) $50.00. 81 • Argonaut The Claim Brandy 42% (USA) $200.00. 84 • Barefoot NV Pinot Grigio, California 12.5% (USA) $6.99. 88 • Barefoot NV Riesling, California 8% (USA) $6.99. 85 • Barefoot NV Sauvignon Blanc, California 13% (USA) $6.99. 87 • Barefoot NV Moscato, California 9% (USA) $6.99. 84 • Barefoot NV White Zinfandel, California 9% (USA) $6.99. 88 • Barefoot NV Pinot Grigio, American 12.5% (USA) $6.99. 86 • Barefoot NV Chardonnay, California 13% (USA) $6.99. 92 • Barefoot NV Riesling, California 8% (USA) $6.99. 89 • Barefoot NV Sauvignon Blanc, California 13% (USA) $6.99. 85 • Barefoot NV Merlot, California 13% (USA) $6.99. 86 • Barefoot NV Pinot Noir, California 13.5% (USA) $6.99. 86 • Barefoot NV Zinfandel, Lodi 13.5% (USA) $6.99. 84 • Barefoot NV Malbec, California 13.5% (USA) $6.99. 85 • Barefoot NV Shiraz, California 13% (USA) $6.99. 90 • Barefoot NV Cabernet Sauvignon, Argentina 13.5% (Argentina) $6.99. 90 • Barefoot NV Moscato, California 9% (USA) $6.99. 86 • Barefoot NV Pink Moscato, California 9% (USA) $6.99. 90 • Barefoot NV Red Moscato, California 9% (USA) $6.99. 87 • Barefoot NV "Rich" Red Blend, California 13% (USA) $6.99. 86 • Barefoot NV Sweet Red Blend, California 10.5% (USA) $6.99. 83 • Barefoot NV "Rosa" Red Blend, California 7.5% (USA) $6.99. 85 • Barefoot NV White Zinfandel, California 9% (USA) $6.99. 85 • Barefoot NV Zinfandel, Lodi 13.5% (USA) $6.99. 89 • Barefoot NV Chardonnay, California 13% (USA) $6.99. 86 • Barefoot NV Riesling, California 8% (USA) $6.99. 84 • Barefoot NV Shiraz, California 13% (USA) $6.99. 86 • Barefoot NV Merlot, California 13% (USA) $6.99. 88 • Barefoot NV Malbec, California 13.5% (USA) $6.99. 88 • Barefoot NV Cabernet Sauvignon, Argentina 13.5% (Argentina) $6.99. 87 • Barefoot NV Chardonnay, California 13% (USA) $6.99. 87 • Barefoot NV Sauvignon Blanc, California 13% (USA) $6.99. 84 • Barefoot NV Refreshingly Sweet, Riesling, California 8% (USA) $6.99. 84 • Barefoot NV Deliciously Sweet, Moscato, California 9% (USA) $6.99. 84 • Barefoot NV Delightfully Sweet Rosé, California 10.5% (USA) $6.99. 88 • Barefoot NV Pink, Pinot Grigio, American 11.5% (USA) $6.99. 87 • Barefoot NV Pinot Noir, California 13.5% (USA) $6.99. 83 • Barefoot NV White Zinfandel, California 9% (USA) $19.00. 90 • Barefoot NV Pinot Grigio, American 12.5% (USA) $6.99. 85 • Barefoot NV Refreshingly Sweet, Riesling, California 8% (USA) $6.99. 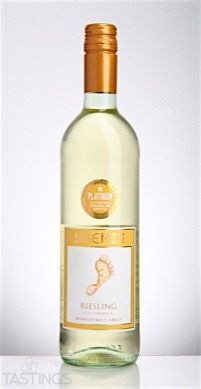 88 • Barefoot NV Delightfully Crisp, Sauvignon Blanc, California 13% (USA) $6.99. 88 • Barefoot NV Zinfandel, Lodi 13.5% (USA) $6.99. 83 • Barefoot NV Shiraz, California 13% (USA) $6.99. 89 • Barefoot NV Rich & Balanced, Cabernet Sauvignon, California 13.5% (USA) $6.99. 88 • Barefoot NV Deliciously Sweet, Moscato, California 9% (USA) $6.99. 85 • Barefoot NV Pink Moscato Deliciously Sweet, California 9% (USA) $6.99. 87 • Barefoot NV Deliciously Sweet, Red Moscato, California 9% (USA) $6.99. 85 • Barefoot NV Velvety & Smooth Rich Red Blend , California 13% (USA) $6.99. 86 • Barefoot NV Smooth & Sweet Red Blend, California 10.5% (USA) $6.99. 87 • Barefoot NV Zinfandel, Lodi 13.5% (USA) $6.99. 85 • Barefoot NV Pinot Grigio, American 12.5% (USA) $6.99. 84 • Barefoot NV Pinot Noir, California 13.5% (USA) $6.99. 85 • Barefoot NV Moscato, California 9% (USA) $6.99. 81 • Barefoot NV Riesling, California 8% (USA) $6.99. 87 • Barefoot NV Merlot, California 13% (USA) $6.99. 86 • Barefoot NV Malbec, California 13.5% (USA) $6.99. 85 • Barefoot NV Cabernet Sauvignon, American 13.5% (USA) $6.99. 85 • Barefoot NV Chardonnay, California 13% (USA) $6.99. 90 • Barefoot NV Sangria, California 11% (USA) $9.99. 87 • Barefoot NV Riesling, California 8% (USA) $6.99. 87 • Barefoot NV Pinot Grigio, California 12% (USA) $6.99. 89 • Barefoot NV Moscato, California 9% (USA) $6.99. 86 • Barefoot NV Rosé, California 10% (USA) $6.99. 85 • Barefoot NV Zinfandel, California 13.5% (USA) $6.99. 85 • Barefoot NV White Zinfandel, California 8.5% (USA) $6.99. 85 • Barefoot NV Pinot Grigio, American 12% (USA) $6.99. 87 • Barefoot NV Riesling, California 8.0% (USA) $6.99. 85 • Barefoot NV Moscato, California 9.0% (USA) $6.99. 83 • Barefoot NV Pink Moscato, California 9.0% (USA) $6.99. 84 • Barefoot NV Red Moscato, California 9.0% (USA) $6.99. 85 • Barefoot NV Sweet Red Blend, California 10.5% (USA) $6.99. 88 • Barefoot NV Sangria, California 11.0% (USA) $6.99. 86 • Barefoot NV Pinot Grigio, American 12.5% (USA) $6.99. 85 • Barefoot NV Riesling, California 8.0% (USA) $6.99. 86 • Barefoot NV Sauvignon Blanc, California 13% (USA) $6.99. 86 • Barefoot NV Shiraz, California 13.5% (USA) $6.99. 85 • Barefoot NV Cabernet Sauvignon, California 13.5% (USA) $6.99. 86 • Barefoot NV Moscato, California 9.0% (USA) $6.99. 86 • Barefoot NV Pink Moscato, California 9.0% (USA) $6.99. 86 • Barefoot NV Rich Red Blend, California 13% (USA) $6.99. 83 • Barefoot NV Sweet Red Blend, California 10.5% (USA) $6.99. 86 • Barefoot NV Sangria, California 11% (USA) $6.99. 84 • Barefoot NV Rosé, California 10.5% (USA) $6.99. 83 • Barefoot NV White Zinfandel, California 9.0% (USA) $6.99. 84 • Barefoot NV White Zinfandel, California 8.5% (USA) $6.99. 90 • Barefoot Bubbly NV Red Moscato, California 8.8% (USA) $9.99. 87 • Barefoot Bubbly NV Pink Moscato, California 8.8% (USA) $9.99. 88 • Barefoot Bubbly NV Moscato Spumante, California 9.6% (USA) $9.99. 87 • Barefoot Bubbly NV Extra Dry, California 11.1% (USA) $9.99. 87 • Barefoot Bubbly NV Brut Cuvée, California 11.8% (USA) $9.99. 88 • Barefoot Bubbly NV Pinot Grigio, California 11.8% (USA) $9.99. 86 • Barefoot Bubbly NV Berry Fusion, California 10% (USA) $9.99. 90 • Barefoot Bubbly NV Orange, California 10% (USA) $9.99. 86 • Barefoot Bubbly NV Pineapple, California 10% (USA) $9.99. 90 • Barefoot Bubbly NV Peach , California 10% (USA) $9.99. 87 • Barefoot Bubbly NV Prosecco 11% (Italy) $9.99. 91 • Barefoot Bubbly NV Red Moscato, California 9.5% (USA) $9.99. 87 • Barefoot Bubbly NV Pink Moscato, California 9.5% (USA) $9.99. 88 • Barefoot Bubbly NV Spumante, Moscato, California 10.5% (USA) $9.99. 88 • Barefoot Bubbly NV Extra Dry, California 11.5% (USA) $9.99. 88 • Barefoot Bubbly NV Brut Cuvee, California 10.5% (USA) $9.99. 86 • Barefoot Bubbly NV Pinot Grigio, California 11% (USA) $9.99. 86 • Barefoot Bubbly NV Berry, California 10.5% (USA) $9.99. 86 • Barefoot Bubbly NV Orange, California 10.5% (USA) $9.99. 85 • Barefoot Bubbly NV Pineapple, California 10.5% (USA) $9.99. 87 • Barefoot Bubbly NV Peach, California 10.5% (USA) $9.99. 86 • Barefoot Bubbly NV Prosecco DOC 11% (Italy) $9.99. 88 • Barefoot Bubbly NV Prosecco 11% (Italy) $9.99. 83 • Barefoot Bubbly NV Berry, California 10.5% (USA) $9.99. 84 • Barefoot Bubbly NV Orange, California 10.5% (USA) $9.99. 85 • Barefoot Bubbly NV Peach, California 10.5% (USA) $9.99. 92 • Barefoot Bubbly NV Sweet Red Sparkling Dessert Wine, California 9.5% (USA) $9.99. 91 • Barefoot Bubbly NV Pink Moscato Sparkling Dessert Wine, California 9.5% (USA) $9.99. 84 • Barefoot Bubbly NV Spumante, Moscato, California 10.5% (USA) $9.99. 85 • Barefoot Bubbly NV Extra Dry Sparkling Wine, California 11.5% (USA) $9.99. 87 • Barefoot Bubbly NV Brut Cuvee Sparkling Wine, California 10.5% (USA) $9.99. 88 • Barefoot Bubbly NV Sparkling Wine, Pinot Grigio, California 11% (USA) $9.99. 84 • Barefoot Bubbly NV Berry Sparkling Dessert Wine, California 10.5% (USA) $9.99. 85 • Barefoot Bubbly NV Orange Sparkling Dessert Wine, California 10.5% (USA) $9.99. 81 • Barefoot Bubbly NV Pineapple Sparkling Dessert Wine, California 10.5% (USA) $9.99. 84 • Barefoot Bubbly NV Peach Sparkling Dessert Wine, California 9.9% (USA) $9.99. 91 • Barefoot Bubbly NV Prosecco DOC 11% (Italy) $9.99. 85 • Barefoot Bubbly NV Sweet Red Sparkling, California 9.5% (USA) $9.99. 87 • Barefoot Bubbly NV Sparkling Pink Moscato, California 9.5% (USA) $9.99. 84 • Barefoot Bubbly NV Moscato Spumante, California 10.5% (USA) $9.99. 87 • Barefoot Bubbly NV Extra Dry Sparkling, California 10.5% (USA) $9.99. 88 • Barefoot Bubbly NV Brut Cuvée Sparkling, California 10.5% (USA) $9.99. 87 • Barefoot Bubbly NV Sparkling, Pinot Grigio, California 11% (USA) $9.99. 86 • Barefoot Bubbly NV Sparkling Orange, California 10.5% (USA) $9.99. 85 • Barefoot Bubbly NV Sparkling Pineapple , California 10.5% (USA) $9.99. 85 • Barefoot Bubbly NV Sparkling Peach, California 10.5% (USA) $9.99. 87 • Barefoot Bubbly NV Sparkling Berry, California 10.5% (USA) $9.99. 88 • Barefoot Bubbly NV Pineapple, California 10.5% (USA) $9.99. 89 • Barefoot Bubbly NV Berry, California 10.5% (USA) $9.99. 87 • Barefoot Bubbly NV Sparkling Brut Rosé , California 11.5% (USA) $9.99. 83 • Barefoot Bubbly NV Sweet Red Sparkling, California 9.5% (USA) $9.99. 82 • Barefoot Bubbly NV Sparkling Pink Moscato , California 9.5% (USA) $9.99. 83 • Barefoot Bubbly NV Moscato Spumante, California 10.5% (USA) $9.99. 86 • Barefoot Bubbly NV Brut Cuvée Sparkling, California 10.5% (USA) $9.99. 86 • Barefoot Bubbly NV Sparkling, Pinot Grigio, California 11% (USA) $9.99. 85 • Barefoot Bubbly NV Sparkling Berry, California 10% (USA) $9.99. 89 • Barefoot Bubbly NV Sparkling Brut Rosé , California 11.5% (USA) $9.99. 84 • Barefoot Bubbly NV Sweet Red Sparkling, California 9.5% (USA) $9.99. 88 • Barefoot Bubbly NV Sparkling Brut Rosé , California 11.5% (USA) $9.99. 85 • Barefoot Bubbly NV Sparkling Pink Moscato , California 9.5% (USA) $9.99. 85 • Barefoot Bubbly NV Moscato Spumante, California 10.5% (USA) $9.99. 88 • Barefoot Bubbly NV Extra Dry Sparkling, California 10.5% (USA) $9.99. 87 • Barefoot Bubbly NV Brut Cuvée Sparkling, California 10.5% (USA) $9.99. 84 • Barefoot Bubbly NV Sparkling, Pinot Grigio, California 11% (USA) $9.99. 85 • Barefoot Bubbly NV Sparkling Berry, California 10.5% (USA) $9.99. 87 • Barefoot Bubbly NV Sparkling Pineapple, California 10.5% (USA) $9.99. 84 • Barefoot Bubbly NV Sparkling Peach, California 10.5% (USA) $9.99. 87 • Barefoot Bubbly NV Prosecco DOC 11% (Italy) $9.99. 89 • Barefoot Refresh NV Crisp White Spritzer, California 5.5% (USA) $4.99. 90 • Barefoot Refresh NV Moscato Spritzer, California 5.5% (USA) $4.99. 88 • Barefoot Refresh NV Rose Spritzer, California 5.5% (USA) $4.99. 90 • Barefoot Refresh NV Summer Red Spritzer, California 5.5% (USA) $4.99. 86 • Barefoot Refresh NV Sangria Spritzer, California 5.5% (USA) $4.99. 87 • Bear Flag 2016 Zinfandel, California 14.8% (USA) $30.00. 87 • Carnivor 2015 Cabernet Sauvignon, California 13.8% (USA) $16.00. 88 • Carnivor 2016 Zinfandel, California 14.5% (USA) $16.00. 89 • Columbia Winery 2015 Cabernet Sauvignon, Columbia Valley 13.7% (USA) $16.00. 88 • Columbia Winery 2016 Merlot, Columbia Valley 13.9% (USA) $16.00. 87 • Columbia Winery 2016 Red Blend, Columbia Valley 13.8% (USA) $14.00. 89 • Columbia Winery 2016 Red Blend, Columbia Valley 13.8% (USA) $14.00. 85 • Columbia Winery 2016 Chardonnay, Columbia Valley 13.8% (USA) $14.00. 88 • Columbia Winery 2016 Cabernet Sauvignon, Columbia Valley 13.9% (USA) $16.00. 85 • Columbia Winery 2016 Merlot, Columbia Valley 13.9% (USA) $16.00. 85 • Dark Horse 2015 Limited Release, Petite Sirah, California 14.5% (USA) $9.99. 89 • Dark Horse 2016 Rosé, California 13.8% (USA) $9.99. 87 • Don Miguel Gascón 2015 Malbec, Mendoza 13.9% (Argentina) $15.00. 88 • E&J Distillers VS Brandy 40% (USA) $27.00. 85 • E&J Distillers VSOP Brandy 40% (USA) $33.00. 85 • E&J Distillers XO Brandy 40% (USA) $40.00. 82 • E&J Distillers Apple Brandy 30% (USA) $35.00. 83 • E&J Distillers Peach Brandy 30% (USA) $.00. 89 • Familia Camarena Silver Tequila 30% (Mexico) $17.00. 89 • Familia Camarena Reposado Tequila 40% (Mexico) $19.00. 89 • Familia Camarena Silver Tequila 40% (USA) $17.00. 90 • Familia Camarena Reposado Tequila 40% (USA) $19.00. 83 • Fleur de Mer 2017 Rosé, Côtes de Provence 13% (France) $.00. 90 • Frei Brothers 2015 Sonoma Reserve, Zinfandel, Dry Creek Valley 14.7% (USA) $20.00. 94 • Frei Brothers 2015 Cabernet Sauvignon, Alexander Valley 14.5% (USA) $27.00. 87 • Frei Brothers 2015 Zinfandel, Dry Creek Valley 14.7% (USA) $20.00. 86 • Gallo Family Vineyards NV Moscato, California 9% (USA) $4.99. 89 • Gallo Family Vineyards NV Moscato, California 9% (USA) $4.99. 85 • Gallo Family Vineyards NV Merlot, California 13% (USA) $4.99. 85 • Gallo Family Vineyards NV Red Moscato, California 9% (USA) $4.99. 83 • Gallo Family Vineyards NV Pink Moscato, California 9% (USA) $4.99. 87 • Gallo Family Vineyards NV Moscato, California 9% (USA) $4.99. 84 • Gallo Family Vineyards NV Moscato, California 9% (USA) $4.99. 86 • Gallo Family Vineyards NV Merlot, California 13% (USA) $4.99. 84 • Gallo Family Vineyards NV Pink Moscato Dessert Wine, California 10% (USA) $4.99. 86 • Gallo Family Vineyards NV Sweet Berry, California 9% (USA) $4.99. 84 • Gallo Family Vineyards NV Sweet Pineapple, California 9% (USA) $4.99. 90 • Gallo Family Vineyards NV Sweet Peach, California 9% (USA) $4.99. 86 • Gallo Family Vineyards NV Sweet Apple, California 9% (USA) $4.99. 91 • Gallo Signature Series 2016 Zinfandel, Dry Creek Valley 15.9% (USA) $50.00. 91 • Ghost Pines 2016 Winemaker’s Blend, Zinfandel, San Joaquin County-Sonoma County 14.5% (USA) $20.00. 89 • J Vineyards Table 2016 Chardonnay, Russian River Valley 14.3% (USA) $30.00. 88 • Jermann 2016 Pinot Grigio, Venezia Giulia IGT 13% (Italy) $30.00. 93 • Jermann 2017 Sauvignon Blanc, Venezia Giulia IGT 13% (Italy) $30.00. 88 • La Marca NV Prosecco, Veneto DOC 11% (Italy) $17.00. 89 • La Marca NV Prosecco DOC 11% (Italy) $18.00. 86 • La Marca NV Prosecco DOC 11% (Italy) $18.00. 88 • La Marca NV Collezione, Prosecco DOC 11% (Italy) $20.00. 85 • Liberty Creek NV Cabernet Sauvignon, California 12% (USA) $6.99. 87 • Liberty Creek NV Chardonnay, California 12% (USA) $6.99. 88 • Liberty Creek NV Pinot Grigio, California 11.5% (USA) $6.99. 85 • Louis M. Martini 2016 Cabernet Sauvignon, California 13.8% (USA) $38.00. 89 • Louis M. Martini 2015 Cabernet Sauvignon, Alexander Valley 15% (USA) $34.00. 94 • Louis M. Martini 2015 Cabernet Sauvignon, Napa Valley 15.1% (USA) $38.00. 90 • Martín Códax 2015 Albariño, Rias Baixas 12.5% (Spain) $15.00. 86 • Martín Códax 2016 Albarino, Rias Baixas 13% (Spain) $15.00. 85 • Martín Códax 2016 Albarino, Rias Baixas 13% (Spain) $15.00. 87 • Moiselle NV Spumante, Moscato, California 9.5% (USA) $5.99. 93 • Mount Peak 2015 Rattlesnake, Zinfandel, Sonoma County 15.5% (USA) $48.00. 84 • Naked Grape NV Pinot Grigio, California 12% (USA) $4.99. 87 • Naked Grape NV Moscato, California 9% (USA) $4.99. 92 • New Amsterdam Vodka 40% (USA) $15.00. 93 • New Amsterdam 100 Proof Vodka 50% (USA) $25.00. 85 • New Amsterdam Apple Vodka 35% (USA) $15.00. 84 • New Amsterdam Lemon Vodka 35% (USA) $15.00. 83 • New Amsterdam Peach Vodka 35% (USA) $15.00. 84 • New Amsterdam Pineapple Vodka 35% (USA) $15.00. 80 • New Amsterdam Raspberry Vodka 35% (USA) $15.00. 87 • New Amsterdam Mango Vodka 35% (USA) $15.00. 83 • New Amsterdam Red Berry Vodka 35% (USA) $15.00. 90 • New Amsterdam Coconut Vodka 35% (USA) $15.00. 85 • New Amsterdam Orange Vodka 35% (USA) $15.00. 94 • Pieropan 2016 Soave Classico 12% (Italy) $20.99. 90 • Prophecy 2016 Sauvignon Blanc, Marlborough 12.5% (New Zealand) $14.00. 85 • Prophecy 2017 Rosé, France 12% (France) $14.00. 92 • Prophecy 2016 Sauvignon Blanc, Marlborough 12.5% (New Zealand) $14.00. 85 • Prophecy 2017 Sauvignon Blanc, Marlborough 12.5% (New Zealand) $14.00. 86 • Prophecy 2016 Pinot Noir, California 13.9% (USA) $14.00. 90 • Prophecy 2015 Red Blend, American 13.8% (USA) $14.00. 89 • Prophecy 2016 Pinot Grigio, Delle Venezie IGT 12.5% (Italy) $14.00. 89 • Starborough 2015 Sauvignon Blanc, Marlborough 12.5% (New Zealand) $15.00. 87 • Starborough 2016 Sauvignon Blanc, Marlborough 12.5% (New Zealand) $17.00. 86 • Starborough 2016 Sauvignon Blanc, Marlborough 12.5% (New Zealand) $17.00. 84 • The Naked Grape NV Pinot Grigio, California 12% (USA) $19.99. 80 • The Naked Grape NV Chardonnay, California 13% (USA) $19.99. 84 • The Naked Grape NV Moscato, California 9% (USA) $19.99. 87 • The Naked Grape NV Cabernet Sauvignon, California 13% (USA) $19.99. 85 • The Naked Grape NV Pinot Noir, California 13.5% (USA) $19.99. 83 • The Naked Grape NV Harvest Red Blend, California 13.5% (USA) $19.99. 84 • The Naked Grape NV Chardonnay, California 13% (USA) $14.99. 85 • The Naked Grape NV Chardonnay, California 13% (USA) $19.00. 84 • The Naked Grape NV Moscato, California 9% (USA) $19.00. 85 • The Naked Grape NV Pinot Grigio, California 12% (USA) $19.00. 88 • The Naked Grape NV Pinot Noir, California 13.5% (USA) $19.00. 87 • The Naked Grape NV Pinot Grigio, California 12.84% (USA) $19.96. 85 • The Naked Grape NV Chardonnay, California 13.5% (USA) $19.96. 85 • The Naked Grape NV Moscato, California 8.5% (USA) $19.96. 86 • The Naked Grape NV Cabernet Sauvignon, California 13% (USA) $19.96. 85 • The Naked Grape NV Pinot Noir, California 13.5% (USA) $19.96. 87 • The Naked Grape NV Harvest Red Blend, California 13.5% (USA) $19.96. 83 • The Naked Grape NV Chardonnay, California 13% (USA) $19.99. 91 • The Naked Grape NV Pinot Noir, California 13.5% (USA) $19.99. 84 • The Naked Grape NV Pinot Grigio, California 12.84% (USA) $19.99. 89 • The Naked Grape NV Moscato, California 8.5% (USA) $19.99. 85 • The Naked Grape NV Cabernet Sauvignon, California 13% (USA) $19.99. 89 • The Naked Grape NV Merlot, California 13% (USA) $19.99. 86 • The Naked Grape NV Chardonnay, California 12.5% (USA) $19.99. 85 • The Naked Grape NV Pinot Grigio, California 12.84% (USA) $4.99. 84 • The Naked Grape NV Moscato, California 8.5% (USA) $4.99. 86 • The Naked Grape NV Pinot Noir, California 13% (USA) $4.99. 84 • The Naked Grape NV Pinot Grigio, California 12% (USA) $4.99. 88 • The Naked Grape NV Moscato, California 8.5% (USA) $6.99. 84 • The Naked Grape NV Cabernet Sauvignon, California 12% (USA) $4.99. 85 • The Naked Grape NV Chardonnay, California 13% (USA) $4.99. 84 • The Naked Grape NV Moscato, California 8% (USA) $4.99. 85 • The Naked Grape NV Pinot Noir, California 13% (USA) $4.99. 89 • The Naked Grape NV Harvest Red Blend, California 13.5% (USA) $4.99. 87 • The Naked Grape NV Merlot, California 12% (USA) $4.99. 87 • Trestoria 2017 Rosé, California 12.5% (USA) $6.99. 92 • Whitehaven 2016 Sauvignon Blanc, Marlborough 13% (New Zealand) $20.00. 93 • Whitehaven 2017 Sauvignon Blanc, Marlborough 13% (New Zealand) $20.00. 89 • Whitehaven 2017 Sauvignon Blanc, Marlborough 13% (New Zealand) $20.00. 88 • Whitehaven 2017 Sauvignon Blanc, Marlborough 13% (New Zealand) $20.99. 88 • William Hill 2016 Cabernet Sauvignon, North Coast 14.5% (USA) $18.00. 88 • William Hill 2015 Cabernet Sauvignon, Napa Valley 15% (USA) $45.00. 91 • William Hill 2015 Benchland Series, Cabernet Sauvignon, Napa Valley 15% (USA) $60.00. 84 • William Hill 2016 Merlot, Central Coast 14.1% (USA) $17.00. 89 • William Hill 2016 Coastal Collection, Chardonnay, North Coast 13.8% (USA) $17.00. 89 • William Hill 2016 Sauvignon Blanc, Napa Valley 14.2% (USA) $27.00. A dessert wine is just that, a wine made strictly to pair with desserts at the end of a meal. Dessert wines are sweet wines; while many are naturally sweet, some are sweetned through the addition of grape must. Famous dessert wines include Sauternes from France’s Bordeaux region, Rutherglen Muscat from Australia and vendages tardives (“late picked”) from France’s Alsace region. Germany also produces many famous dessert wines, ranging from Spatlese to Eiswein (made from frozen grapes). Dessert wines from Italy include Vin Santo, Recioto di Soave and Recioto di Valpolicella. 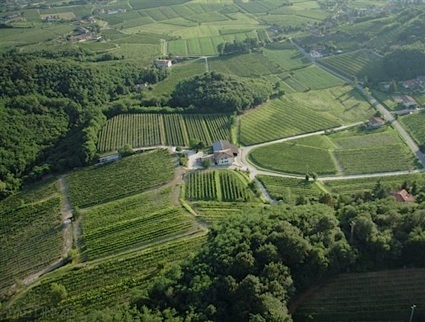 While some dessert wines have alcohol in the 12-14% range, others such as Moscato d’Asti from Piedmont in northern Italy are very low in alcohol (5.5%). Dessert wines can accompany certain specific foods, especially cakes, almond tortes and fruit tarts; however, Sauternes and foie gras is a classic pairing. While some lighter dessert wines such as Moscato d’Asti or Brachetto d’Acqui are meant for consumption upon release, others such as Sauternes or Auslese from Germany can age for decades, thanks to their high natural sugar concentration. Barefoot NV Riesling, California rating was calculated by tastings.com to be 86 points out of 100 on 12/6/2016. Please note that MSRP may have changed since the date of our review. © Copyright 2019. Tastings.com | All rights reserved.